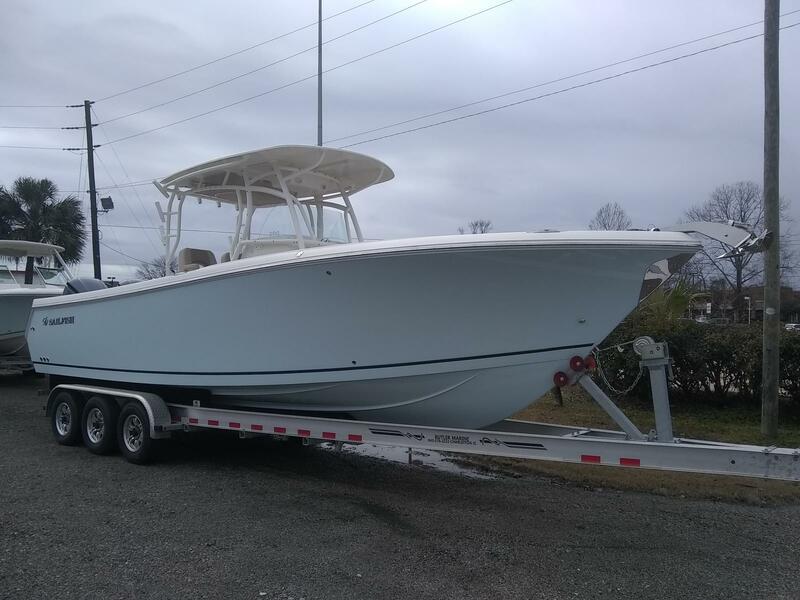 The 290CC has tremendous offshore capabilities and sleek Sailfish style. 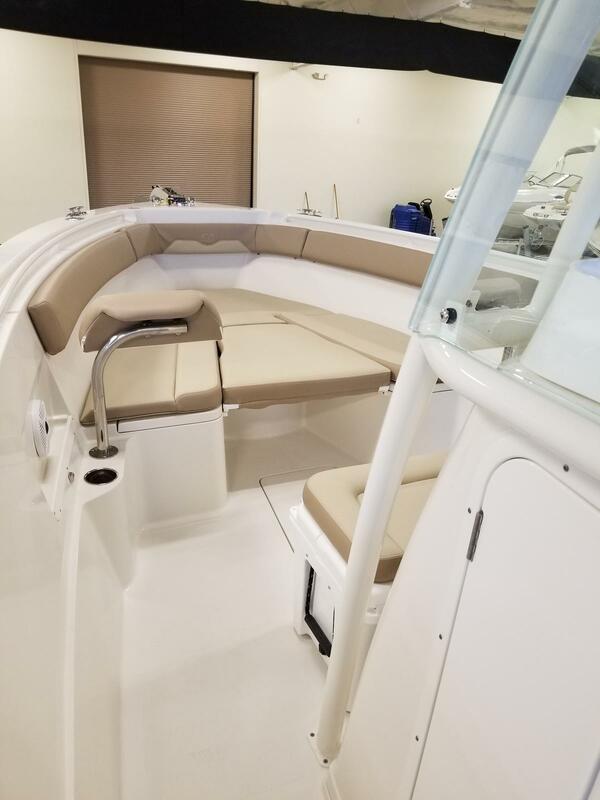 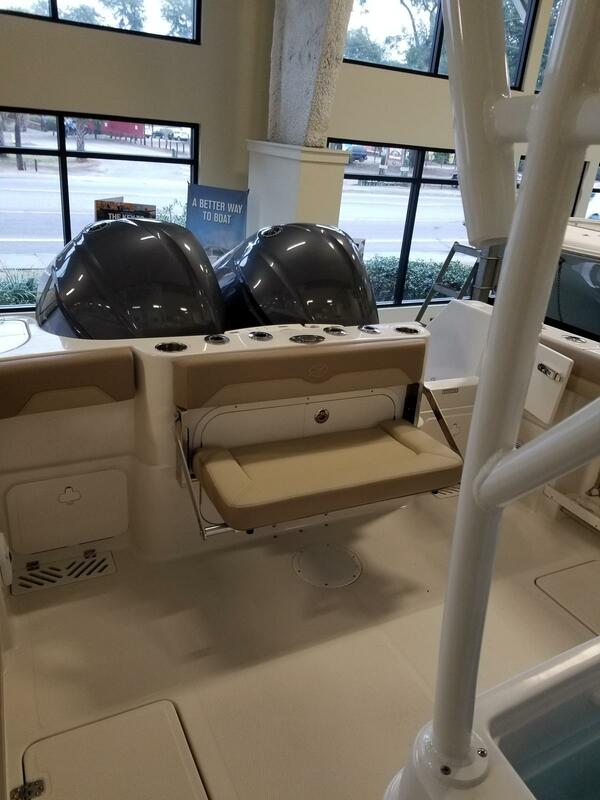 With Sailfish's proven Variable Degree Stepped (VDS) hull design, the Sailfish 290CC is one of the driest and softest riding center consoles on the market. 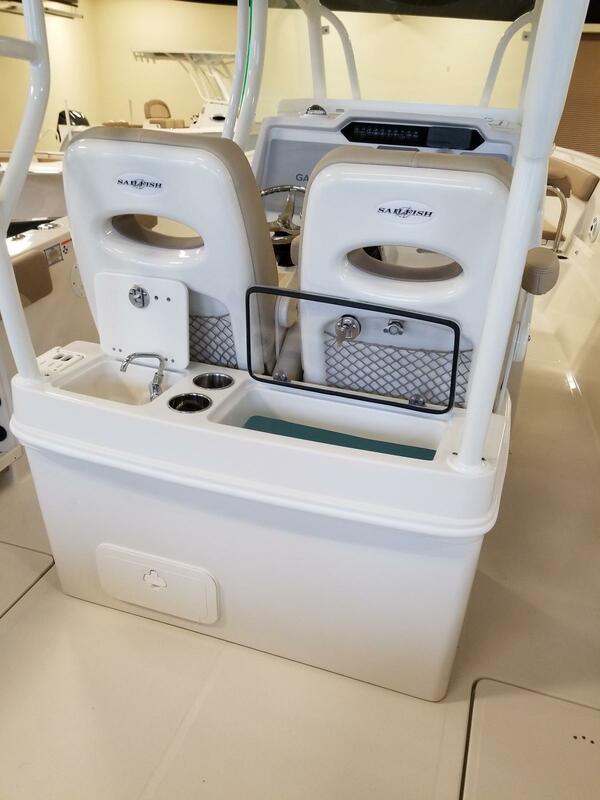 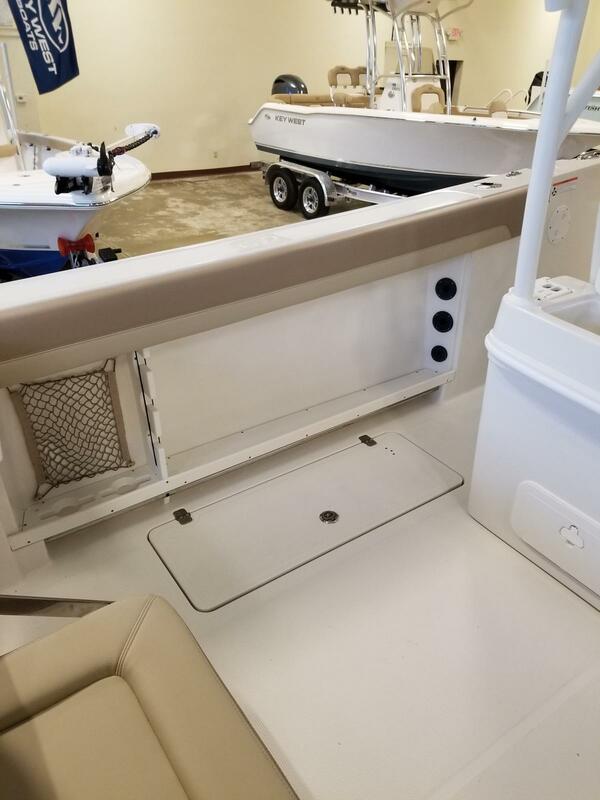 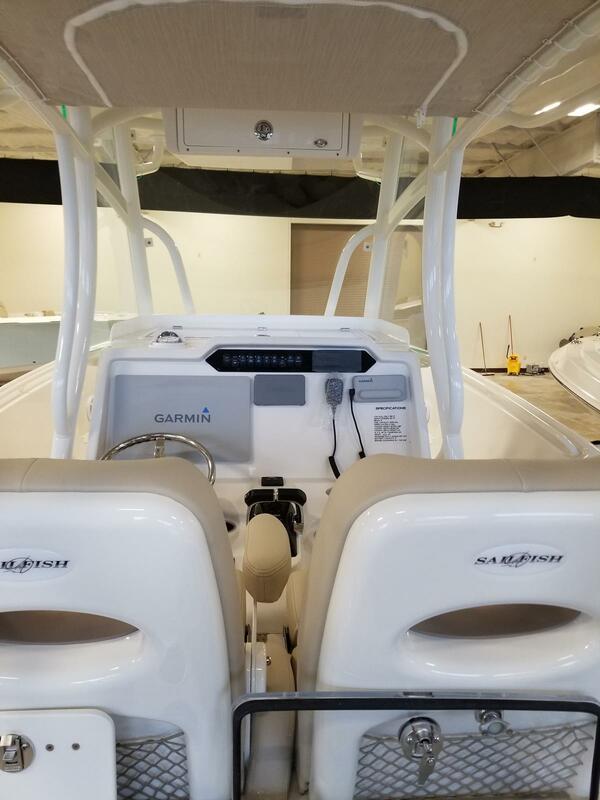 It is loaded with standard fishing amenities, including 16 standard rod holders, a 35-gallon leaning post livewell, a 30-gallon transom livewell, high-speed pickups, dual fish boxes in the floor, locking rod storage and much more. 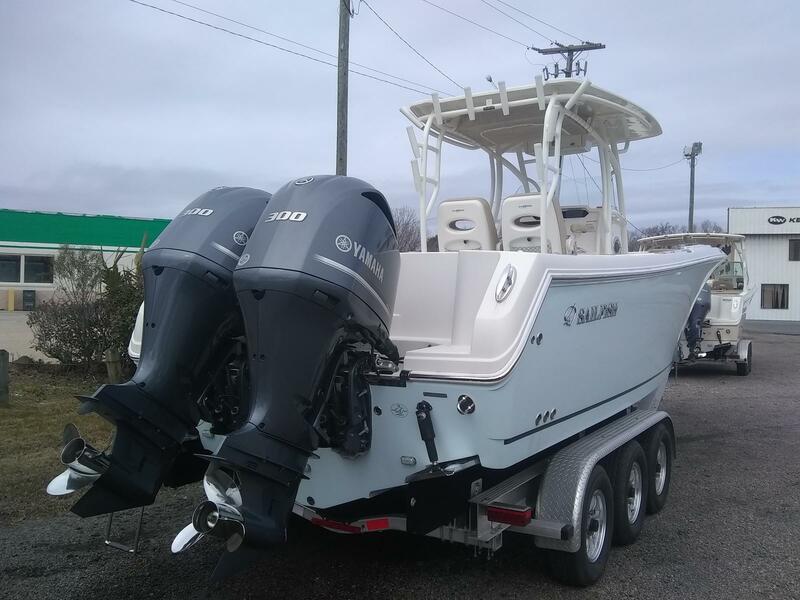 The 290CC boasts more available options to accommodate your everyday family needs as well as your tournament needs. 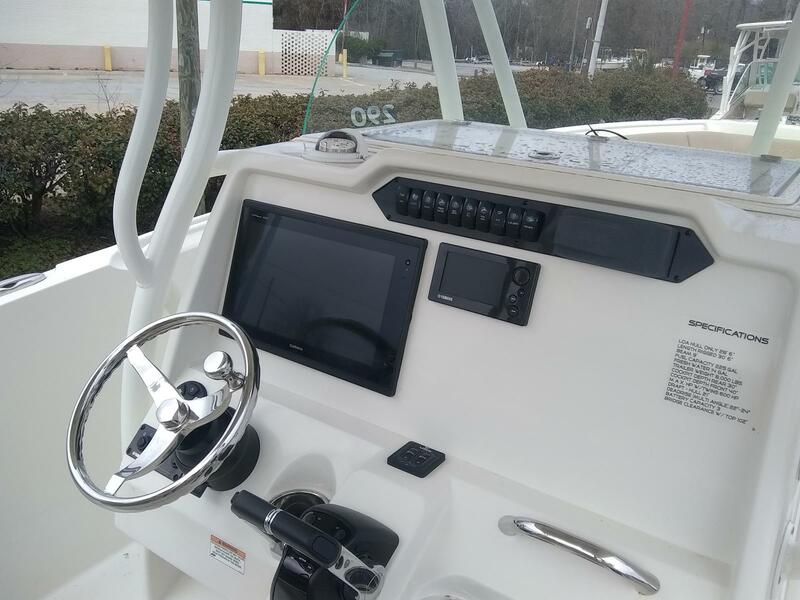 The newly designed dash facing allows for larger flush mounted electronics. 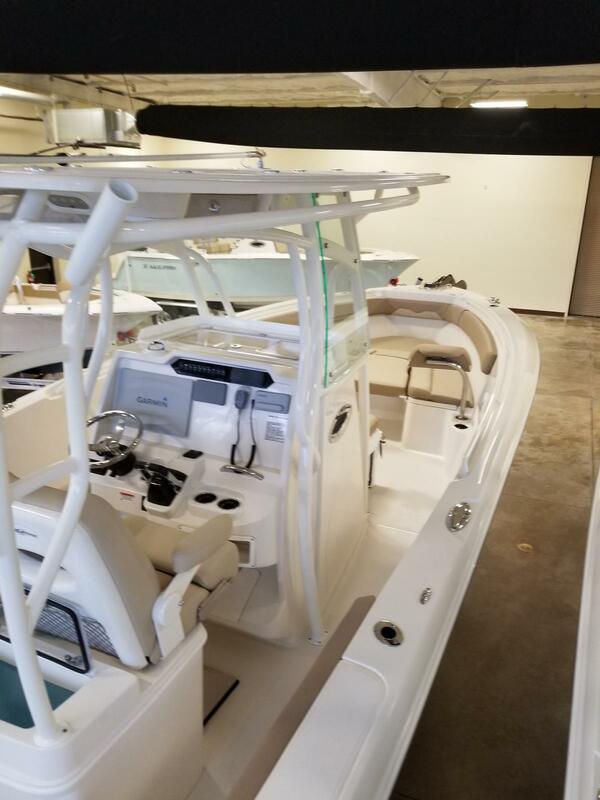 Take on a fishing tournament, spend an afternoon with your family wakeboarding, and join friends for a sunset dinner cruise all in your new 290CC.